Our instructors are passionate professionals immersed in the world of hovercraft, committed to continuous education, and have logged thousands of hours in flight. They are well known leaders in the field. At Hovercraft Training Centers, you’ll stand on the shoulders of giants to master operation, maintenance, and specialized maneuvers in the shortest time possible. 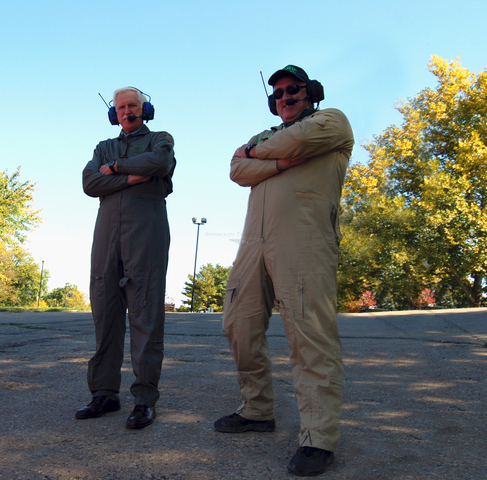 Chris Fitzgerald (left) and Steve Stafford (right) offer HTC trainees the most experienced light hovercraft flight instruction available worldwide. A walking encyclopedia of hovercraft engineering and operation, Hovercraft Training Centers President and Senior Instructor Chris Fitzgerald brings 50 years of experience to your professional pilot training. He has prepared search and rescue, military/defense, commercial and recreational hovercraft pilots for their unique challenges for more than three decades. A participant in the world’s first hovercraft race in Australia in 1964, Fitzgerald’s biography reads like a history of the hovercraft itself. 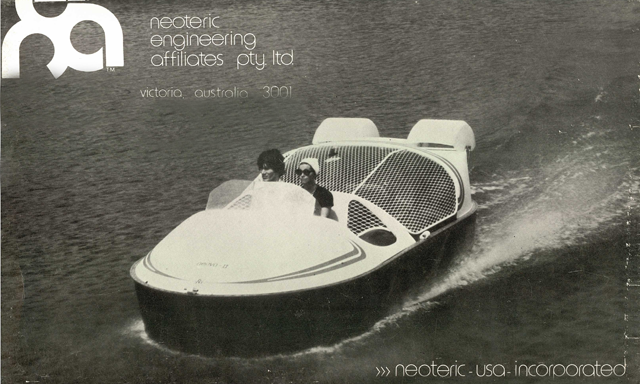 As founder and President of Neoteric Hovercraft, Inc., the longest-running light hovercraft manufacturer in the world, he is recognized worldwide as a pioneer of hovercraft technology and continues to engineer the most cutting-edge light hovercraft on the market today. Fitzgerald and Neoteric were selected by golf pro Bubba Watson and his sponsor, Oakley, to design and create the BW1 hovercraft golf cart, and he is the hovercraft expert featured in Thinkmodo’s viral video, Bubba’s Hover, which became the #1 most shared video in the world. 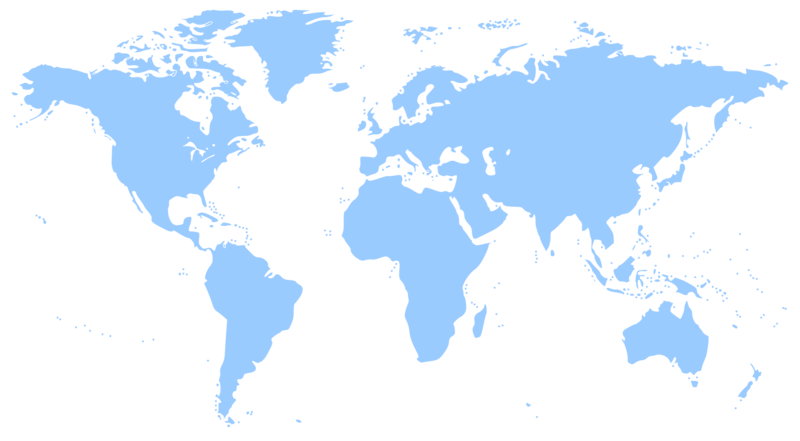 Fitzgerald was a founding member of the World Hovercraft Federation and founder and former President and Treasurer of the Hoverclub of America. As founder and Chairman of the World Hovercraft Organization, he has spearheaded major international hovercraft events such as World Hovercraft Week 2002 and the World Hovercraft Championship 1989. His passion for education led him to establish the DiscoverHover International School Hovercraft Program, in which students learn about science through building a hovercraft. He appeared as a judge in the Hovercraft episode of The Learning Channel’s Emmy Award-winning Junkyard Wars and has co-authored two books: Hovercraft Technology, Economics and Applications and Light Hovercraft Design. 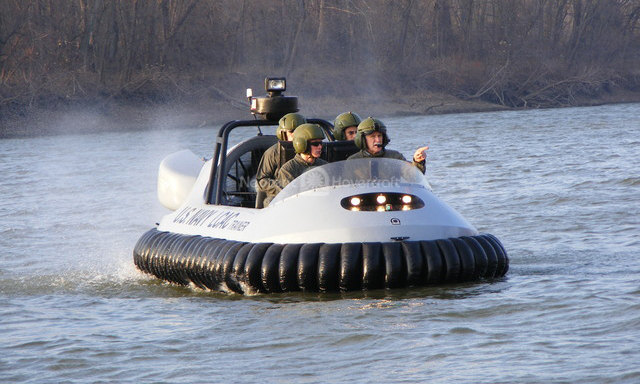 An officer for more than 20 years with the Lawrence County Sheriff's Department in Southern Indiana and an avid hovercraft pilot, it was only natural that Steve Stafford would combine his professional expertise with his passion for hovercraft. A portrait of the forward-thinking professional hovercraft pilot, Steve was at the leading edge of search and rescue professionals who discover how hovercraft can revolutionize their work. He convinced his skeptical department that hovercraft might meet their need for a purpose-built vehicle that safely operates on ice, water, mud, rapids, sand and more. Soon the calls from other departments started rolling in. Steve founded Project H.E.R.O. 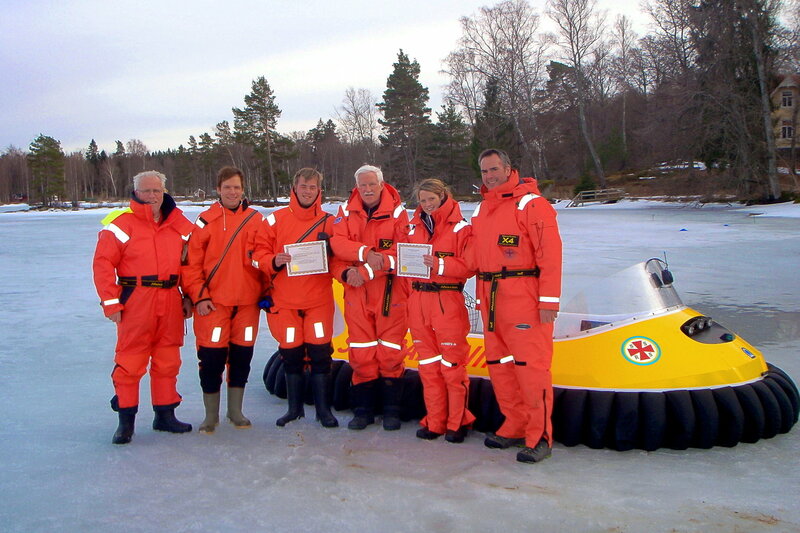 (Hovercraft Emergency Response Operations), a non-profit group of rescue professionals who deploy hovercraft in disasters and assist police and rescue agencies. Steve and Project H.E.R.O. have used hovercraft to assist in operations with his department as well as the Indiana State Police, the Federal Bureau of Investigation (FBI), and the Drug Enforcement Agency (DEA).